A man carrying a one-year-old baby was attacked with a bottle of Jack Daniels, scratched with a small knife and had a rock hurled at him while walking in Fishermead. 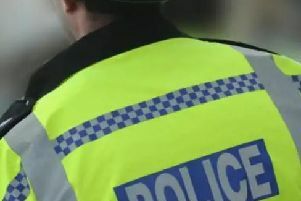 The 28-year-old was approached by a group of around 10 men in Gurnards Avenue at around 4.20pm yesterday when a war of words broke out. The argument escalated when the men began to attack the victim. The men are black men wearing black clothing. The offender carrying the knife is black, around 17 to 18 years old, with short curly black hair, slim, and around 5ft 6ins. He was wearing a black Puffa-style jacket, black jeans and black Nike trainers. He was carrying a black man bag.